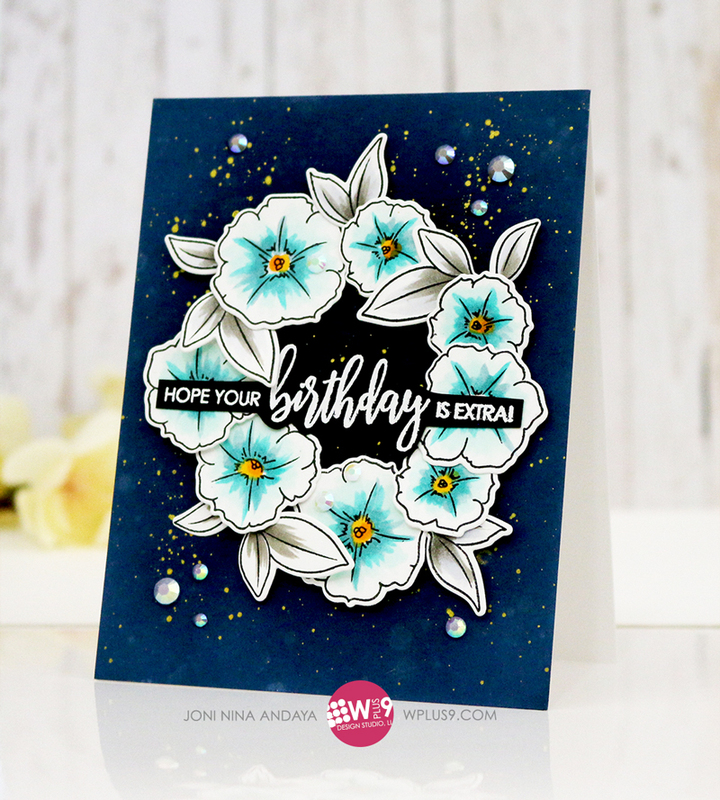 Floral stamps are so versatile, especially if they include individual blooms or smaller clusters. You can build bouquets, use them separately, create all over patterns, or create wreaths. 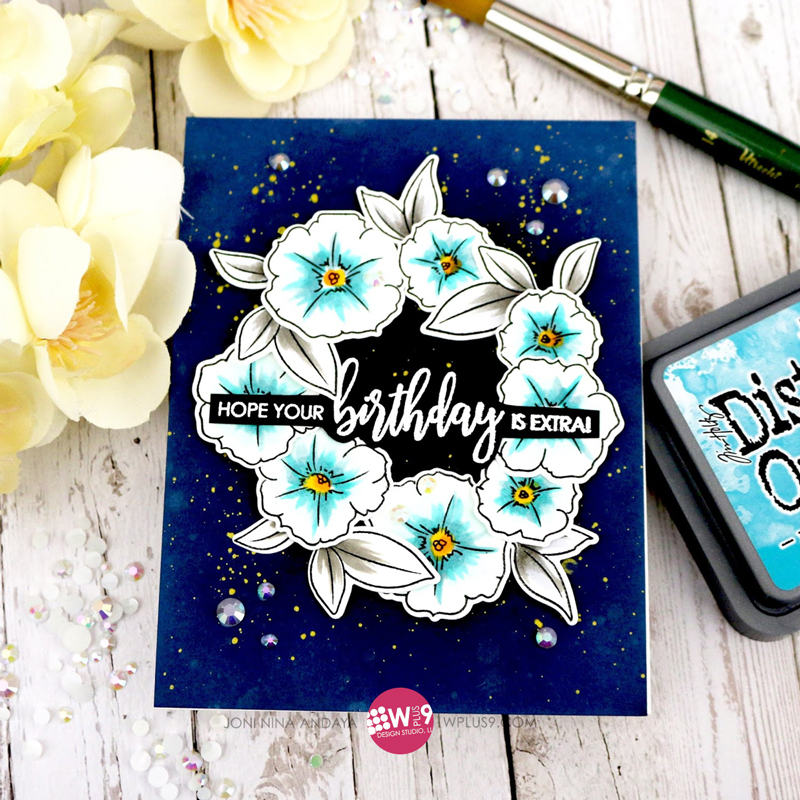 For today's projects, you can easily use any flower stamps and dies you already have on hand. 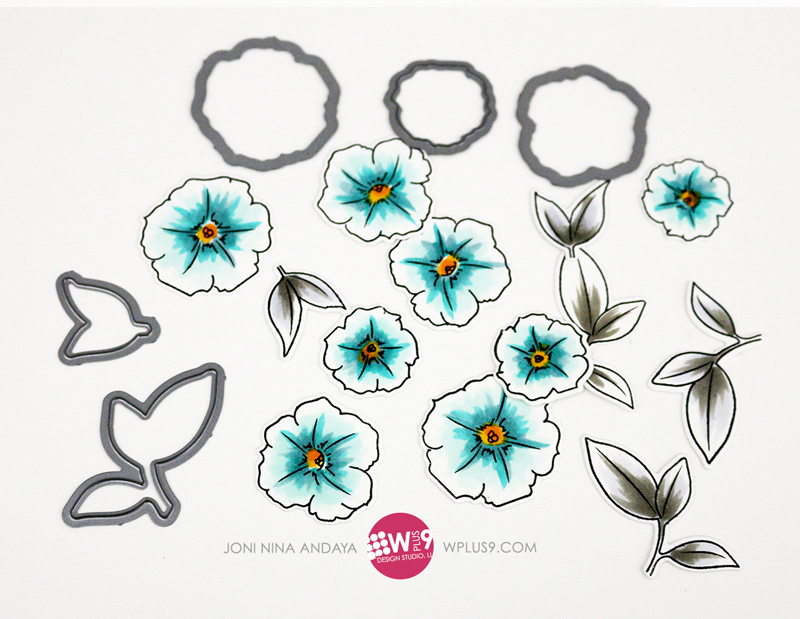 For my first project, I've used the Modern Petunias stamps and dies. And for the sentiment I used the Birthday Wishes stamp set. To begin, I used Wplus9 Nautical Navy cardstock, distressed it with Distress Oxide Ink in Peacock Feathers around the card and left the middle card dark. 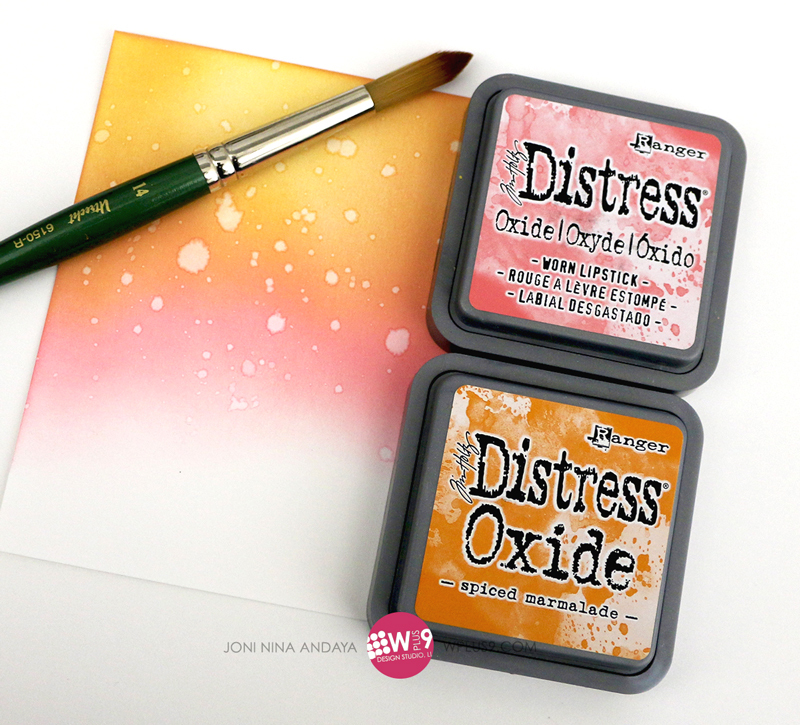 Because the Distress Oxide Inks have both dye and pigment ink properties, I was able to "brighten" up the edges of the darker cardstock with the lighter color. I then splattered it with water and Gansi Tambi Starry Colors. 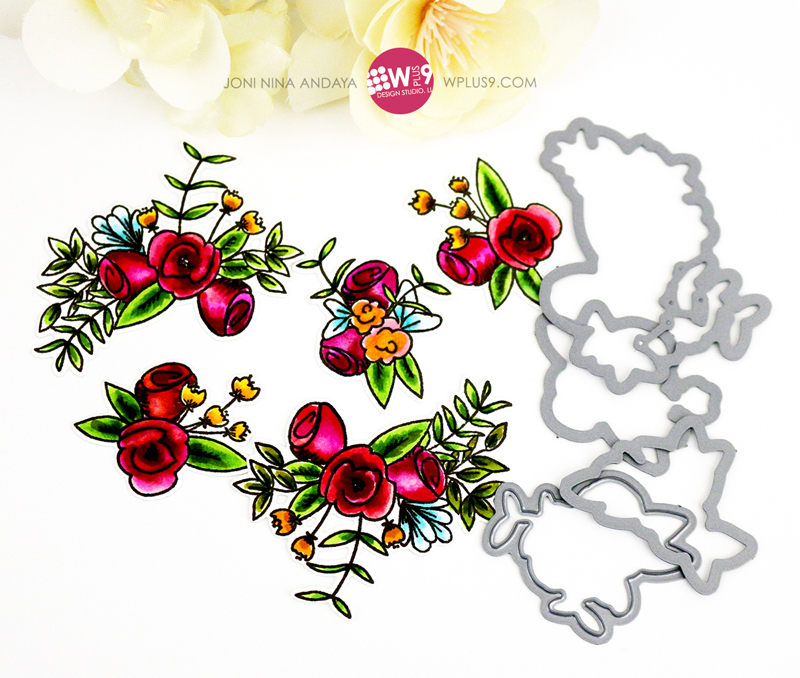 I colored the flower images with Copic markers, then die-cut them using their matching dies. Next, I added some Pretty Pink Posh Jewels in Pearl White Jewels. To finish off the card, I heat embossed the sentiment "hope your birthday is extra" in white on black cardstock, fussy cut it out, and adhered it using foam tape. 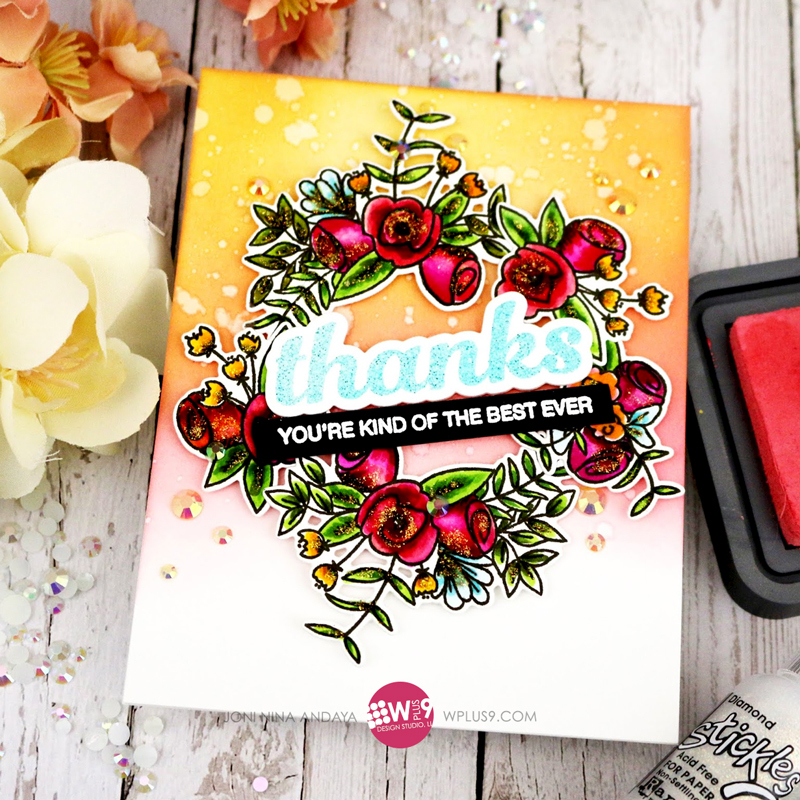 For my next project, I used the Hello & Thanks stamps and dies. This set doesn't have individual flowers, but it does have several smaller clusters of flowers that can also be combined to create a wreath. 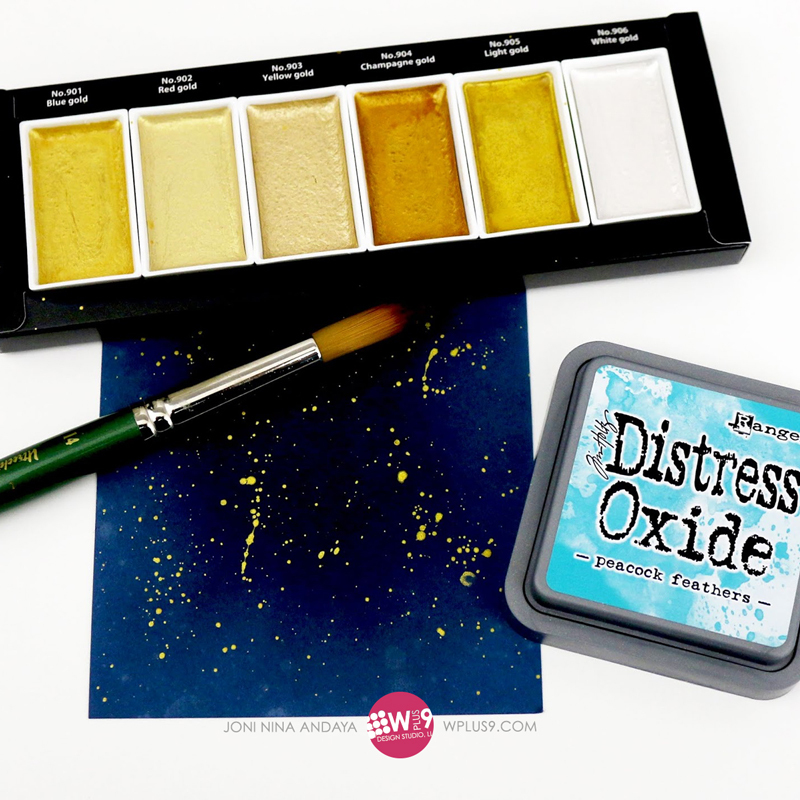 I first distressed the white card panel with Distress Oxide Inks in Worn Lipstick and Spiced Marmalade, then splattered it with water. Next, I stamped the images on white cardstock in black ink. Again, I used Copic markers to color them and then die-cut each image using their matching dies. For the sentiment, I used the larger "thanks" included in the same stamp set, and heat embossed it in Aqua Tinsel. For the smaller sub-sentiment, I used white heat embossing on a black strip of cardstock. To really kick it up a notch, I added some Diamond Stickles selectively on some of the flowers and leaves. 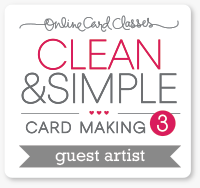 Finally, I added some Pretty Pink Posh Ivory Jewels for added interest to finish off the card. I hope you guys enjoyed, and as always, thanks for stopping by! Such beautiful cards! I love the flowers!! WOW Joni, these are stunning. The flower wreaths are so beautiful against those backgrounds! Well done!